A New Way To Play: Play in the real world, control it from your smartphone. Games for Everyone: Comes with free downloadable games with more available in the iTunes App Store, Android Market or Amazon Apps Store. Sphero is the first robotic ball gaming device that you control with a tilt, touch, or swing from your smartphone or tablet. You can even use Sphero as a controller for on-screen gameplay. Sphero interacts seamlessly with mobile apps, giving you new ways to test your skills, play games with friends, and more. A Bluetooth connection makes Sphero ready to play as fast as you can launch an app. 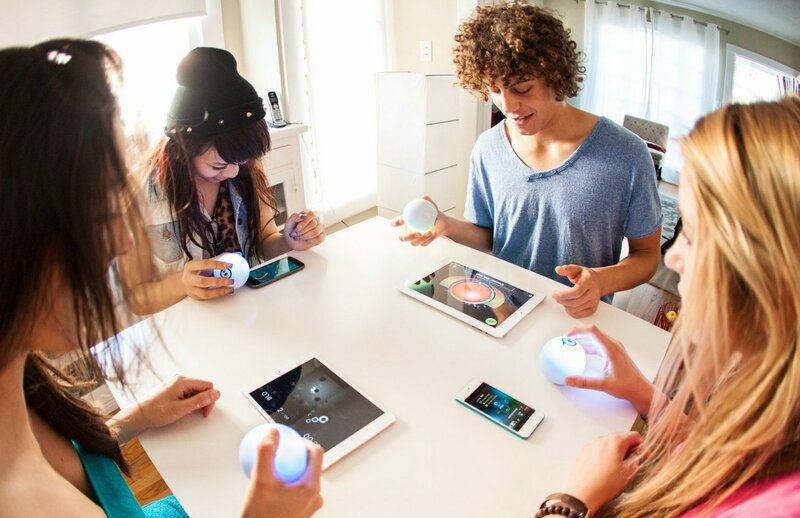 And with single- or multi-player games, Sphero will always surprise you. Acclaimed by Popular Science, Forbes, Wall Street Journal, and MSNBC and featured as one of the year's hottest gadgets by TechCrunch, Wired, Gizmodo, Engadget, and Make magazine, Sphero offers a new type of game play for the smartphone generation.